(Bridgewater, N.J., Jan. 31, 2018) - The Somerset Patriots have re-signed 2017 Atlantic League All-Star catcher Yovan Gonzalez for the 2018 season. Gonzalez enters his third season with the Somerset Patriots and his third in the Atlantic League. He finished second on the team in batting (.291) last year (minimum 70 games) with three home runs and 31 RBI over 84 games as the team’s primary catcher. Gonzalez led the Atlantic League in batting at numerous points in 2017, including a .325 batting average in the first half. He was selected as the starting catcher for the Liberty Division in the league’s All-Star Game hosted at TD Bank Ballpark. The Puerto Rico native shined defensively as well, leading the league in fielding percentage (.997) among catchers for the second-straight year (minimum 650.0 innings). That equated to two errors over 659 chances. The most memorable aspect of Gonzalez’s 2017 campaign, however, was his knack for clutch hitting. The former Cincinnati Reds prospect led the team with four walk-off hits, including a walk-off solo home run against the Lancaster Barnstormers on Opening Night. 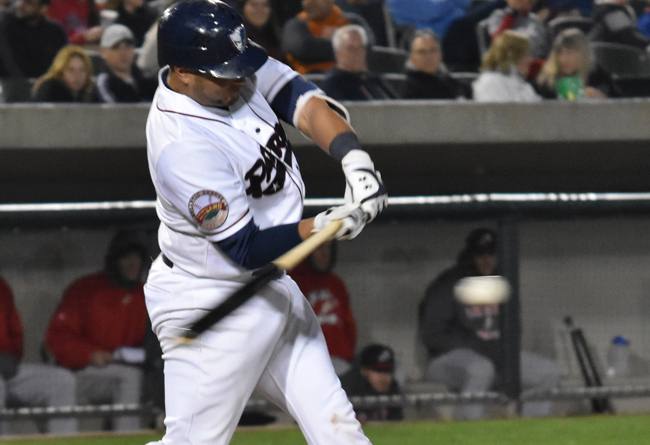 Gonzalez hit .264 with two home runs and 30 RBI over 80 games in 2016 – his first season in Somerset – and was used as the team’s primary catcher. Defensively, he led the Atlantic League in fielding among catchers who played in at least 650.0 innings with a .998 fielding percentage (one error in 645 chances). In addition, he finished third among all Atlantic League catchers in innings played (693). Gonzalez spent the first seven years of his career in the Cincinnati Reds organization, including Triple-A service in Louisville in 2013. The Wabash Valley College alumnus has always excelled defensively throughout his career. He has thrown out 33% of potential base-stealers (199-596) over his career, including two seasons (2009, 2011) of over 50%. Additionally, Gonzalez holds a career .991 fielding percentage behind the plate. Gonzalez has 20 home runs and 207 RBI over 547 minor league games.